Gallagher, A.J., E.R. Staaterman, S.J. Cooke, N. Hammerschlag. In Press. Behavioural responses to fisheries capture among sharks caught using experimental fishery gear. 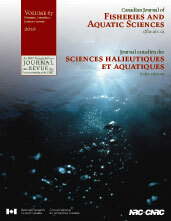 Canadian Journal of Fisheries and Aquatic Sciences. 74:1-7.